Do You Even Need Orthotics? Father’s Day is coming up and if you’re wondering what to get your dear old dad for his big day, you might want to consider a pair of orthotic devices. If he’s a tennis player or a runner, a nice heel cup can help relieve any existing pain or discomfort. Or, if he has a bunion, you could pick him up some protective padded coverings. This is, of course, even better when combined with another gift, like a day golfing at Arizona Traditions or Great Eagle golf clubs, for example! 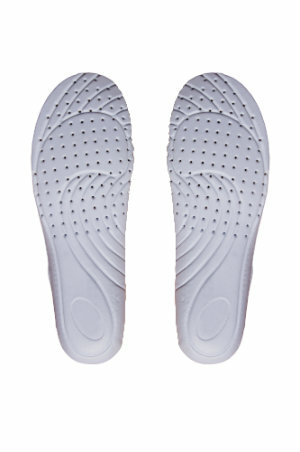 Orthotics are devices that slip into your shoe. You can get them either over-the-counter (at almost any pharmacy or grocery store) or custom-made. Over-the-counter orthotics are much less expensive, but are also used to address for smaller issues. They aren’t uniquely crafted to your feet, but will offer some much needed padding, support, or protection from friction, which can make them rather beneficial in their own right. Custom-made orthotics, on the other hand, are a big deal. You can only get them through a prescription from your podiatrist. A mold is made of your feet, which means these orthotic devices are actually custom-made. There will be no other orthotic out there 100% exactly like yours. This means they tend to be a bit more expensive, but sometimes your insurance will cover the cost. Custom-made orthotics are used to fix deeper biomechanical issues. Both types of orthotics are very beneficial, but don’t immediately assume you need a custom orthotic devices for your heel pain. We will always try the more conservative treatment first. If an over-the-counter insert doesn’t work, then we will consider the option of going with a custom orthotic. Many people find relief very quickly after using an orthotic. They change the way your foot moves, so it can feel strange at first. However, it’s a very viable and beneficial option for fixing a lot of foot conditions. The doctors and staff at Fixing Feet Institute in Surprise, AZ are committed to you and your feet. If you have questions about orthotics please call Dr. Peyman Elison and Dr. Viedra Elison at (623) 584-5556 to schedule an appointment with us.